We are Team ISU. 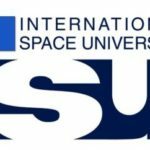 We are a highly motivated group of scientists, engineers, thinkers, creators and innovators from around the world who hold graduate degrees from the International Space University (ISU) Masters and Space Studies Programs. This distinguished university has provided all of us with an invaluable life experience that has shaped our collective careers in the current space industry. We share a passion for space research, engineering, the arts, mission design, operations, and exploration that unites us as a tightly bonded team of space adventurers. 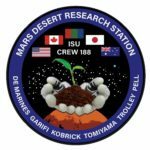 Team ISU has closed out their third rotation at the Mars Desert Research Station (MDRS), comprised of two weeks of intense research, team building, and simulation training on Mars. Our expertise and experience in international, intercultural and interdisciplinary professional teams prepared us for the variety of unique mission challenges. For example, Crew 188 dealt extremely well despite adversities including stress and safety concerns. Our diverse backgrounds supported a unique problem-solving culture and aptitude for collaborating on a common goal. The first Mars settlement will undoubtedly be an international venture. The culture was an important part of our MDRS time as we shared meals, workouts, workshops, and videos between EVA’s. Publications and creative engagement are underway from our mission’s research projects. We conclude with a sense of gratitude, pride in our work and excitement for the future. · Continue an annual partnership between participants from the International Space University and planetary analogue research stations. · Productively function as an international and interdisciplinary team. 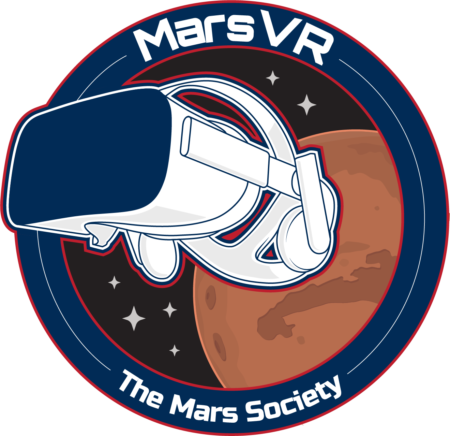 · Gain team and individual experience in a Mars analogue simulation. · Learn from the team’s collective background and experiences. · Experiment and gather data towards publications. · Promote awareness and passion for space exploration via education and outreach. · Share with the public how research is conducted in an analogue situation. Analogue missions allow the flexibility of capturing many different operational data. This Embry-Riddle Aeronautical University (ERAU) Spacesuit Utilization of Innovative Technology Laboratory (S.U.I.T. Lab) project focused on capturing physical and biometric data from the 15 extravehicular activities (EVAs). Investigated EVA metrics included collecting GPS data (timestamps, waypoints, distance traversed), the “task” or EVA objectives, and biometrics (heart rate, respiratory rate, skin temperature, blood oximetry, and body acceleration). For consistency pilot data was collected with one crewmember, and future studies will build to full crew tracking. The investigation of human performance data with respect to workload expenditure will help identify energy limitations, thus maximizing explorers’ potential. The crew successfully captured on video prescribed range of motion tasks for an unsuited subject, and the subject wearing two different types of simulated spacesuits used at MDRS. The crew reported on operational checklist improvements and sent data to the ERAU S.U.I.T. Lab. This approach derives how to communicate effective instructions to a remote crew, and then analyze simulated spacesuit performance. The MDRS Crew 188 collected the second set of data with the first videos provided by the Hawai’i Space Exploration Analogue and Simulation (HI-SEAS) 2017 mission. Improvements from the MDRS 188 team were sent both the AMADEE-18 in Oman and the Mars Society Israel mission at the Makhtesh Ramon Crater, both occurring in February. Final Frontier Design (FFD) outer-layer Thermal Micrometeoroid Garment (TMG) spacesuit gloves were worn on EVAs by one crewmember. The gloves were photographed before the mission and after every EVA to examine the abrasive wear for post-mission analysis. The gloves offered realistic dexterity limitations that would be expected in a pressured garment and outer layer. A new filtration unit from NASA Glenn Research Center was used to examine airlock dust contamination post EVAs. Measurements with an optical particle detector were taken five times encapsulating each EVA’s operations (pre- EVA before and after the crew entered, mid-EVA, and post-EVA before and after the crew entered). A variety of filters were changed on the filtration unit each test and a special vacuum filter was utilized when cleaning the airlock. All these test combined will look at particle size distribution and total load. Data collected from this research will further facilitate the mitigation of astronaut’s and habitat systems’ exposure to dust particles on the surface of celestial bodies. We utilized the GreenHab facility to test a new prototype vegetation system invented by NASA KSC scientists for watering plants in reduced gravity environments. Lettuce and basil were selected as ideal demonstration crops for their quick germination times and ease of harvest. The newly built GreenHab provides controlled temperature, humidity, and light for a variety of vegetable crops growing throughout the field season. Due to limited time within the mission, the vegetable growth period was only 9 days. The OASYS system proved the effective germination of only one lettuce seedling from one of the three plant watering pillows due to an issue with the size of the pillows being larger than normal and the wicks not staying moist. Photos and data were sent to the principal investigators who rated this to be a positive test of the hardware. 1) Bending Horizons 360: human-environmental interactions on the Mars Analogue environment in 8K 360-degree Panorama and 3D Video data. 2) Bubbles on Mars a creative Imagineering experiment on phenomena of blowing bubbles on Earth, to transfer and adapt for a Mars sci-art activity. 3) Mars Olympiad: a series of speculative fiction performances designed and documented for a Virtual Reality or future immersive teaching and learning experience, and international outreach engagement coinciding with the Opening Ceremony of the Winter Olympics, to expand knowledge and imaginative capacity for human performance, and teamwork on Mars. 4) Super Blood Blue Moon Total Lunar Eclipse: 6K 360-degree Panorama Video of the Astronomical Phenomena from the Mars Desert Analogue Station. 5) Participation in research and interviews in support collaborations with a fellow crew on EVA spacesuit validation [in partnership with Final Frontier Design FFD], environmental interactions, science and engineering engagement, human factors and performance research, with local crews, future MDRS Crew participants, and global Analogue Crews. As Crew 188 Journalist in Residence, Dr. Pell contributed an adaptation of Maslow’s human needs for future life on Mars, reported on public outreach activities and reflected on the Mars Society MDRS mission priorities Science, Simulation and Science (adding a little of space art and society) and sharing in the conversations and personalities shaping the shared human experience of life on a simulated Mars station. Dr. Pell thanks the support of A/Prof David Barnes of the Monash Immersive Visualisation Platform [MIVP] for the provision of an Insta360 Pro Camera; and Professor Brenton Dansie of the University of South Australia who generously supported Dr. Pell’s participation in MDRS Crew 188. Performing Astronautics is supported by the Australia Council: the Governments Arts Funding and Advisory Body. Tatsunari Tomiyama performed this Human Factors research project. Throughout this mission, the data collection has been completed 3 times and the detailed data performance must be completed later with statistical software tools. However, rough data analysis has been performed using tools in Microsoft Excel. The data analysis shows that personal hygiene will be strongly influenced for the quality of life during this simulation. Following to that, water and radio communication would also likely be influenced. Final details of the result will be analyzed later using computer software. This collaborative meteorological investigation of micrometeorite samples collected from field sites all over the world now includes samples taken from MDRS. We collected field samples from loose topsoil (<0.5 in) from hilltops surrounding the habitat, filtered, separated and imaged potential micrometeorites other spherules ranging in size from 50 µm to 2 mm, both extraterrestrial (iron ore-containing), terrestrial and anthropogenic that have fallen through the atmosphere and landed on Earth’s surface. Soil samples in a range of particle sizes were bagged and labeled for submission to the principal investigator for further analysis by scanning electron microscope, which we do not have access to here. We are very excited to bring this project to MDRS because micrometeoroids contribute to the composition of regolith (planetary/lunar soil) on other bodies in the Solar System, not just Earth. Mars has an estimated annual micrometeoroid influx of between 2,700 and 59,000 t/yr. This contributes about 1 m of micrometeoritic content to the depth of the Martian regolith every billion years. These types of analyses on Earth help us understand how the solar system was formed as we venture out to explore it. Julia DeMarines, an astrobiologist, tested out three Chlorophyll detecting devices that are being prototyped by researchers from NASA Ames and Robotics Everywhere LLC (www.f3.to). These handheld Chlorophyll detectors can be operated in the field, indoors, and potentially underneath a Mars rover using chlofluorescence. The results were mixed but overall positive. Julia first tested them indoors using a variety of living and non-living samples collected in the field, in the Green Hab, and around the Hab. Once she was familiar with the interface, she was able to test these samples and get positive results from several leaf samples and negative results from green rocks and green plastic. She was also able to repeat results after resetting the devices. She was able to get a false positive using a green Sharpie marker and was also able to get false negatives on Sage Brush collected from in the field and tested in the science lab as well as Sage Brush measured in the field. Also in the field, she was not able to get a positive detection on a very green agave-like plant. Overall, the detectors are promising to use if the interface were a little more user-friendly and easier to see while in the field and while wearing gloves. The ERAU S.U.I.T. 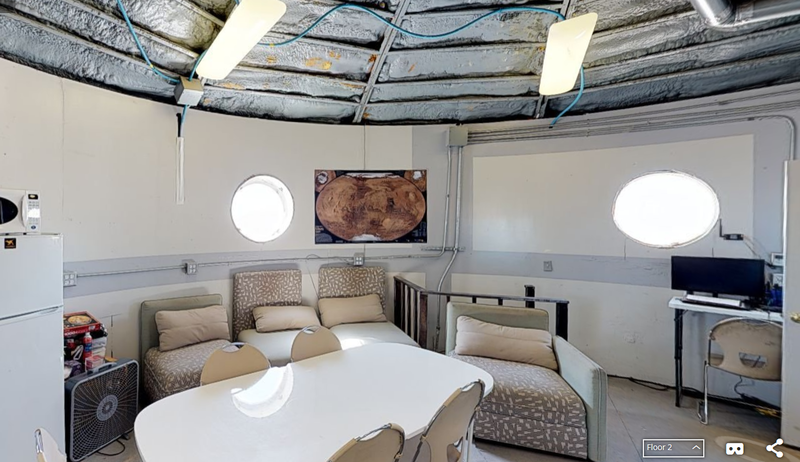 Lab created an opportunity for the MDRS Crew 188 to connect live via video conference with the AMADEE-18 analogue simulation simultaneously running a Mars research mission, located at the Kepler Station, Dhofar Region, Oman. 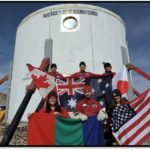 The MDRS Crew 188 completed their Mars simulation by communicating in real time with a crew facing similar challenges, echoing an authentic multi-crew mission to Mars located at different base camps. 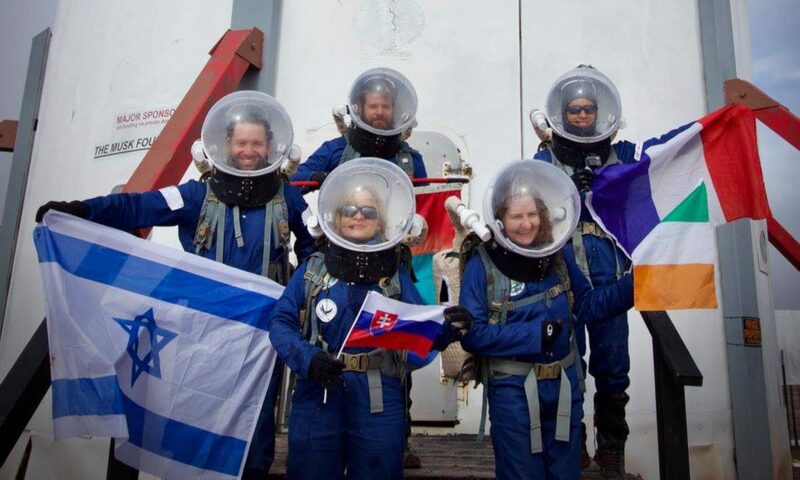 What brings this team together is our common dream of space exploration. With a vast collective experience of working in international teams, a skill fostered and developed by ISU, our crew understands the importance of defining roles within a team and have learned to cope with high-stress situations in small living spaces. Completing a mission together at MDRS has challenged us to improve our professional communication while expanding our friendships. We would like to extend our gratitude to the MDRS Mission Support Team who have supported our crew every evening during the Comms window. Special thanks goes to Dr. Shannon Rupert, Kayundria “Kay” Hardiman Wolfe, Bernard Dubb, Veronica Brooks, Sylvain Burdot, Graeme Frear, Jennifer Holt, Nishat Tasnim, Peter Detterline, Chris Welch, Volker Damann, Barnaby Osborne, Geraldine Moser, Joshua Nelson, Michael Davies, Dr. Chris McKay, Matteo Borri from Robotics Everywhere LLC, Dr. John Deaton, Morgan Eudy, Heather Allaway, Anderson Wilder, Dr. Luke Roberson, The NASA-KSC VEGGIE Team, Juan Agui, the International Space University Southern Hemisphere Program, University of South Australia, Monash University, Monash Immersive Visualisation Platform, Australia Council, Blue Marble Space, Embry-Riddle Aeronautical University, NASA Florida Space Grant Consortium, Space Florida, Dr. Robert Zubrin and the Mars Society, The Musk Foundation, MDRS Crew 147 and 162 and our friends and families back home who have supported us during this two-week mission.